Fish oil is used as a natural health supplement that treats a variety of issues. It provides beneficial omega-3 fatty acids that promote good health throughout the body and helps to cure or prevent certain health conditions. However, some people are not convinced. They view fish oil as nothing more than snake oil with no real health benefits. Nothing could be further from the truth. In fact, researchers at Harvard University ranked omega-3 fatty acid deficiency as the sixth highest cause of death in the United States. What is Fish Oil and what are Omega-3 Fatty Acids? Fish oil is exactly what it sounds like, oil from the tissues of oily fish. While you can get it by eating certain fatty, cold water fish like wild caught salmon, white fish, anchovies, herring, and sardines, many people opt for the fish oil supplements available at health food stores and even supermarket shelves. Omega-3 fatty acids are highly concentrated fish oil. They are polyunsaturated fatty acids and must be introduced into the body either via the food eaten or supplements. It is not like many other fatty acids that the body is able to produce. Fish oil has two vital types of omega-3, eicosatetraenoic acid (EPA) and docosahexaenoic acid (DHA). How is Fish Oil Used? Fish oil supplements are intended to be taken just like a daily vitamin. Because of its many health benefits like preventing diseases and reducing the symptoms of certain conditions, it has become a standard in most people’s health routines and is even included in some multi-vitamins. It is taken in the form of a capsule. It can be purchased over the counter, but the FDA has approved a prescription version fish oil that lowers high triglyceride levels. There are many other fish oil benefits. It truly is a wonder health supplement. Fish oil typically comes in a gel filled capsule. It is important that it not be punctured prior to taking. Patients should follow the direction exactly as they are on the label or as the doctor prescribed. It is a good idea for them to talk to their doctor before they start taking fish oil to make sure that it does not interact with any other medications that they are taking. Typically, fish oil will not have any side effects. Some mild ones include an upset stomach, back pain, mild rash on the skin, belching, and an unusual or unpleasant taste in the mouth. More serious side effects that should warrant a call to the doctor include: flu symptoms: fever, body aches, chills; irregular or uneven heartbeats; and/or chest pain. Anyone considering taking fish oil should first talk to their doctor who can recommend a therapeutic dose. 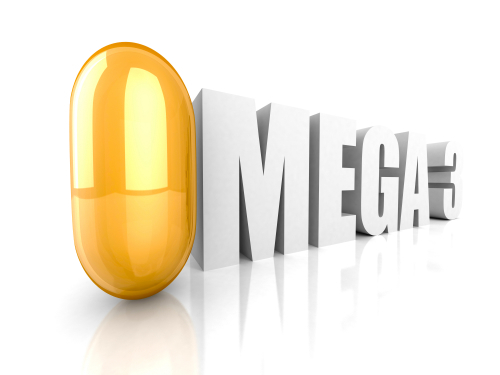 Read the label to determine how much omega-3 is in each capsule as well as the recommended dosage. Doctor recommended brands are best, but in absence of a doctor recommendation, a reputable brand by an established, trusted, trustworthy company is best. Fish oil is excellent for all round health and chiropractic patients taking the supplement can enjoy better health and better results from their chiropractic care.